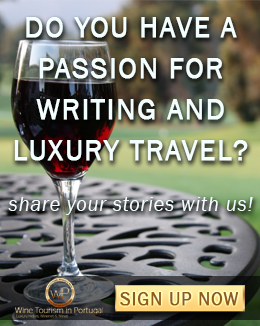 Should we say Douro or Golden? Located in the north of Portugal, the Latinized name Durius was the name used by the Celtic tribes who inhabited the area before Roman times. In Roman times, the river was personified as a God, Durius. Another long-established derivation suggests that the name Douro comes for the Portuguese word for "golden". Traditionally, the wine was taken downriver in flat-bottom boats called rabelos, to be stored in barrels in cellars in Vila Nova de Gaia. Between the 1960s and 1970s, dams with locks were built along the river, allowing river traffic from the upper regions in Spain and along the border. 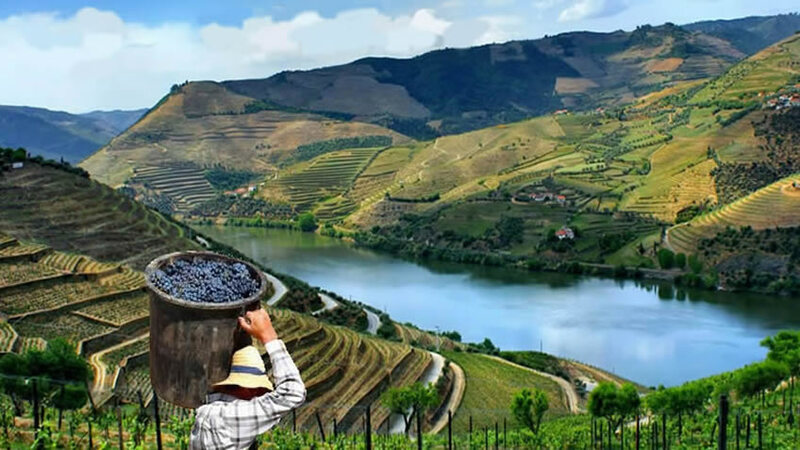 Douro Region is the oldest Wine Demarcated Region in the world and has been entitled by UNESCO as World Heritage Site since 2001. You have tree ways to discover the oldest Wine Demarcated Region in the world: by car, train or boat. The car is an excellent way to discover the river and the surrounding areas. But first, you must be prepared for the constant ups and downs on narrow, winding lanes. Get ready to find quiet towns and villages, vineyards hugging the bends, castles from the time of the Christian Reconquest and all the other places worthy of a stop to look far into the horizon. You can follow the river on the Douro Line by train, between Régua and Tua. The Régua station is the most important in the region, and the Pinhão station is one of the most attractive in the country, with its tilled façades. Travelling at 30 km/h, it preserves the memory of a time when they provided the connection between towns and helped deliver the famous Port Wine. You could consider all the three options but we definitely suggest you explore by boat. The Douro expanses from the Atlantic Ocean and the port city of Porto, all the way to Baco’s gardens. The beautiful terraced slopes of the Douro valley, covered in vines, offer one of the most striking man-made rural landscapes. Until the late 19th century, the river was the major access route inland and the transport for the producers from the distant interior. 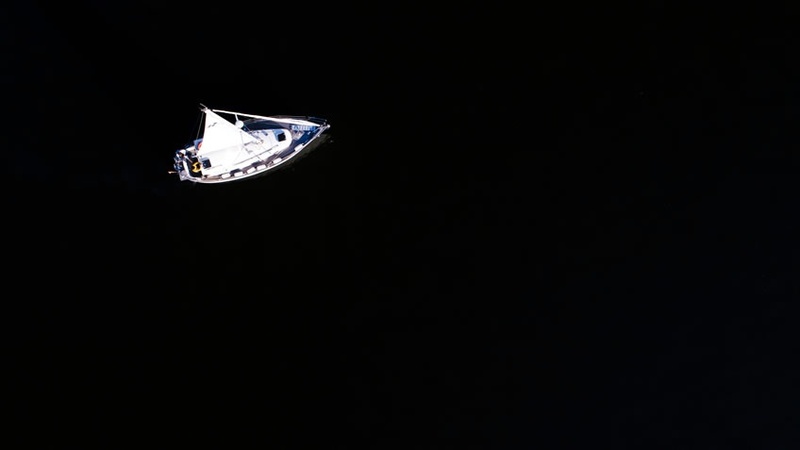 Navigation was challenging and risky, and the rabelo boat was the only vessel capable of crossing the natural difficulties. The sturdiness and expertise of the boatmen made it possible to navigate the river and carry the great wine barrels. If you have opportunity, you can also take a short ride on a rabelo boat. It will be an unforgettable experience. The Six Senses Douro Valley is moved by the romance of the 19th century architecture and is well connected with the contemporary interior that reflects the inimitable style of the Six Senses. This Resort is close to the winding path of the Douro river that runs through the oldest wine producing region of the world. 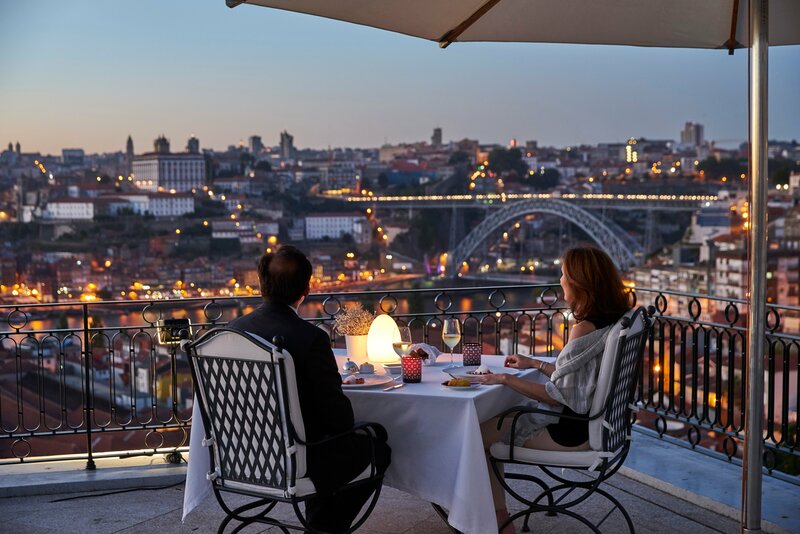 This serene setting is 142 kilometres away from the International Airport of Oporto. The estate of the Resort covers 8 hectares and has 57 accommodations, three restaurants, a wine cellar with excellent vintages produced in the valley and an impressive Six Senses Spa of 2,200 square meters. Positioned as the ultimate wine and SPA experience of the Douro, the Resort assumes its own regional identity. The impressive historic mansion is contemporary and sophisticated at the same time. It was originally transformed in a hotel in 2007 and was then renewed to adopt technical and material innovations. Nowadays it has been fully recreated to become Six Senses Douro Valley. This space offers you an impeccable service based on strategic details and small surprises. 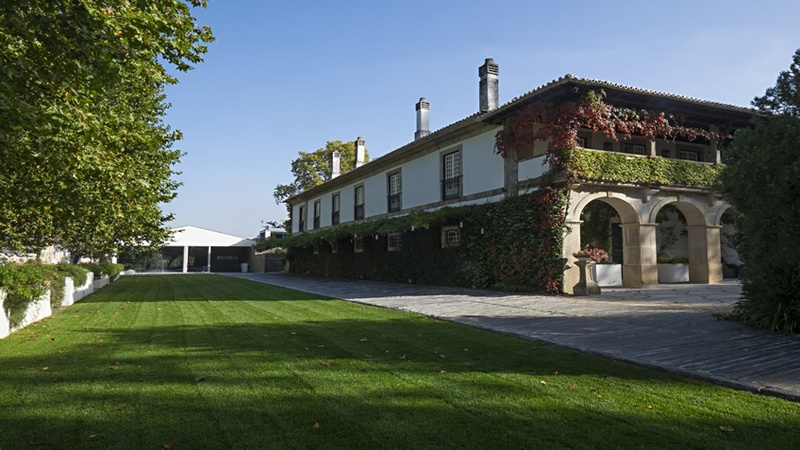 The Wine House Hotel of Quinta da Pacheca is the ideal retreat in the Douro, where you can find peace, tranquillity, elegance, comfort and unique facilities prepared for you. Inserted in a 51 ha. (126 ac.) farm full of vineyards, and stretching down to the Douro, the Wine House Hotel Quinta da Pacheca is an intense and soulful hotel that surprises for its history, combined with an innovative and sophisticated style. The main building is a typical 18th century house that was completely restored respecting its traditional architecture and original values. The common spaces and its fifteen unique rooms benefit now of a modern and avant-garde image, with sober and elegant features. This is a boutique hotel totally devoted to gastronomy and wine tourism, where well-being and comfort are omnipresent values and where vineyards and wine play a crucial role. Despite the master lines and exterior façades, Quinta da Pacheca continues to transmit the weight of the years, the symbiosis between ancient and modern is perfect, and small details that make this hotel a real charm. 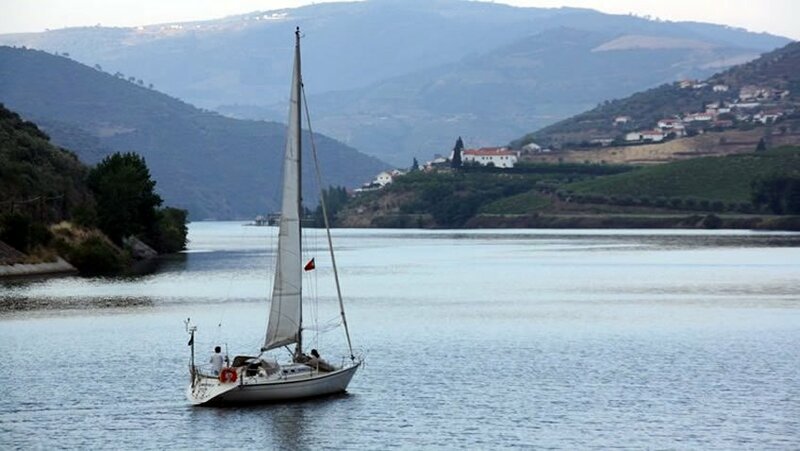 If you want to be accommodated in a Wine Hotel at World Heritage Site, by UNESCO, experience the famous Port and Douro wine producing estates and have an exclusive cruise in the Douro region in a sail boat between breath-taking landscapes, let’s start your itinerary for a three days tour in Douro. In the morning, you will have a different experience at Quinta da Pacheca Restaurant. 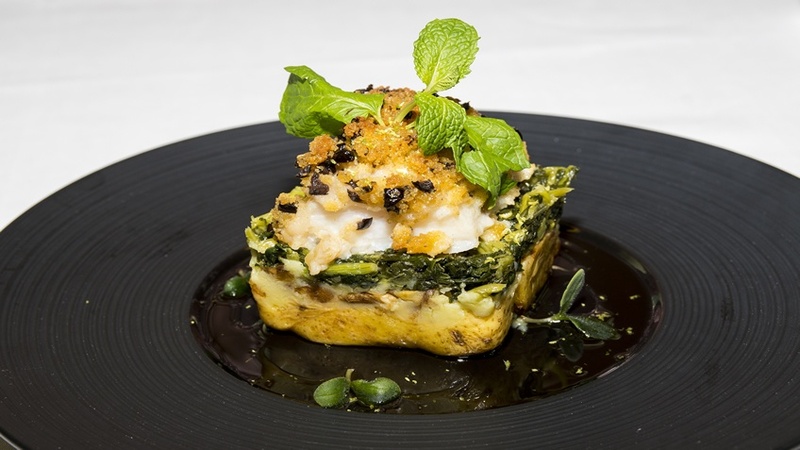 The Restaurant presents a refinement and gourmet touch, a search for constant quality without letting go the true essence of traditional Portuguese cuisine, always prepared with the fresh produce of the land, the dishes of the restaurant are a real temptation. Here you will have a Cooking Workshop, taught by the Chef of Pacheca Wine House Hotel, it is a great way to relax, learn and taste the richness of the entrances and titbits of Portuguese gastronomy. With this activity, you are expected to interact with the Chef participating in the making of the chosen option, learning or developing your knowledge through the gastronomy. Then, you will taste all the dishes prepared. During the afternoon you will be guided in the Quinta da Pacheca. Quinta da Pacheca, one of the most known properties of the Douro, stands out for being the first to bottle wine under its own brand. The first reference to the Quinta is in a document dated of the 17th April 1738, where it is called "the Pacheca" because its owner: D. Mariana Pacheco Pereira. But it was only in 1903 that D. José Freire de Serpa Pimentel decided to develop his growing interest in oenology, acquiring the property in order to devote himself to the wine production. You will learn about the history, the vinification processes, the vines, the old winery and the wine cellar, ending with a wine tasting. 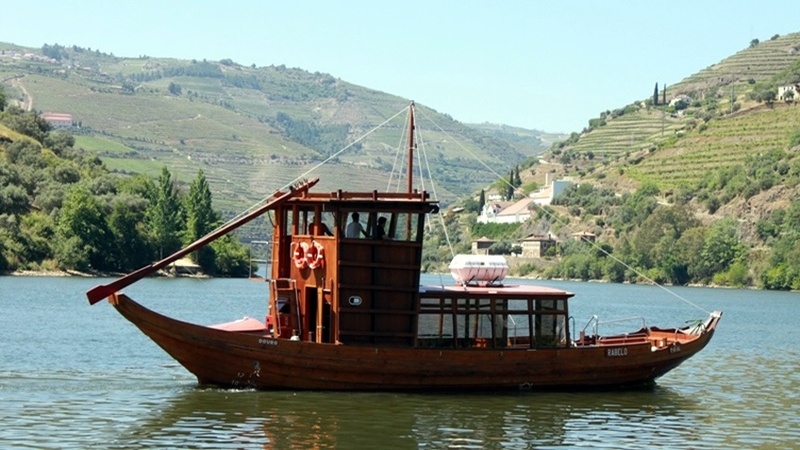 The Private driver/guide will be waiting for you in the lobby of the Hotel and will take you to two of the most important Quintas in the Douro Valley. The first stop will be at Quinta do Crasto. 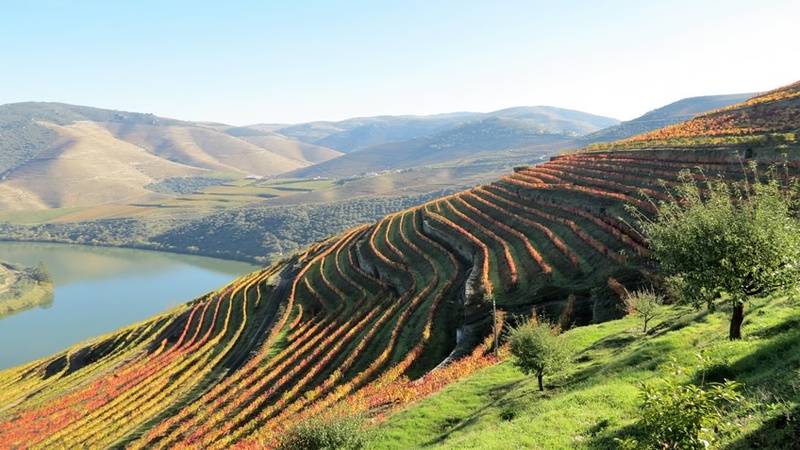 Located on the right bank of the River Douro, between Régua and Pinhão, Quinta do Crasto is owned by the family of Leonor and Jorge Roquette for more than a century. Its origin dates back to the 19th century. The first known references date back to 1615. One of the greatest acknowledgments came in 2008, when Wine Spectator, an international reference of the sector, has considered Quinta do Crasto Reserva Vinhas Velhas 2005 the third best wine in the world that year, giving it a rating of 95 of 100 points. Since then, this wine has always been in the Top 100 of the American publication. 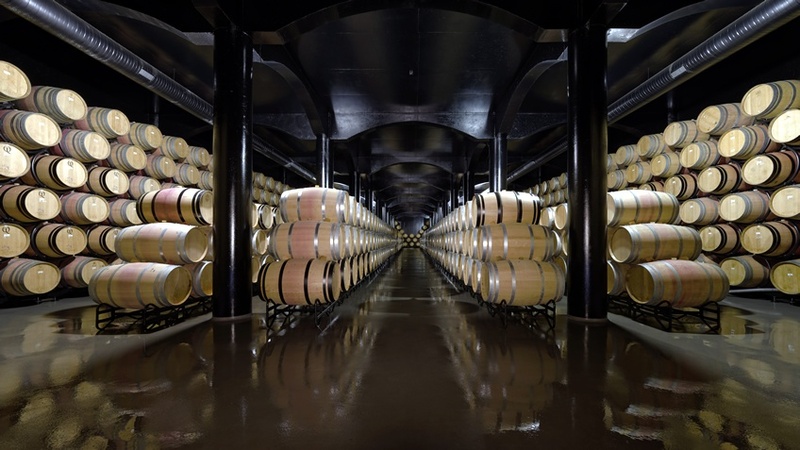 Here you will have the opportunity to visit the vineyards, including the famous old vineyards of Quinta do Crasto, a winery and a barrel cellar, where the Premium table wines and Port wines are staging. After the visit, you will have a 5 wines tasting, properly presented by the Quinta do Crasto manager, who will guide you through this experience. After the Wine experience, you can enjoy your lunch and the views in the Conceitus Restaurant. There, the menu appeals to the senses and emotions, in a relaxed and curious way. The proposals are different every day and guests never know the menu, letting themselves to be guided by the inspiration of Chef José Pinto. Then you will discover Quinta Nova, Nossa Senhora do Carmo. "One of the 9 must-see wineries in the world", says American Airlines. Quinta Nova Nossa Senhora do Carmo is a place of an extreme beauty in the heart of the Douro and it's owned by the Amorim family since 1999. But this property is prior to 1764 and a historical research confirms it as a great land belonging to the Portuguese Royal Family. The historic sites that are still preserved today and opened for visitors reveal all this: the creek, the gazebo, the stone mark of the Marquis of Pombal dated of 1758, the cellar's crest, two chapels and three secular orchards. This is undoubtedly one of the oldest wineries in the Douro region, producing port wine for the Quinta and for many other plots of neighbouring farms, given its large size. You will have a guided Tour through the vines, winery dated from 1764 and the underground cellar. The visit ends with a 3 wines tasting at the wine Shop. On your last day in the Douro Valley, we will take you to Pinhão, where you will have the opportunity to visit the "crown jewel" of Real Companhia Velha, the largest Quinta in the Douro region - Quinta das Carvalhas. A property of immense beauty and grandiosity whose oldest written reference date back to 1759. This is one of the most emblematic Douro properties and it is considered by many the "Douro image" because it allows a view of the territory and of the most beautiful Douro has to show. Nowhere else you can see so much in so little time. 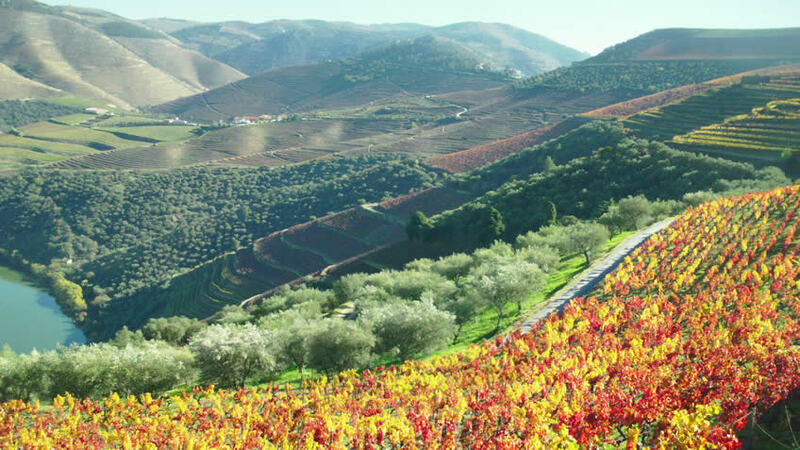 The mountain of Carvalhas, at 550 meters of altitude and from where you can enjoy a landscape in 360 degrees, is "excellence" for the observation of the property and Douro. You will have a visit to the Vineyards accompanied by the Quinta das Carvalhas Agricultural Engineer. 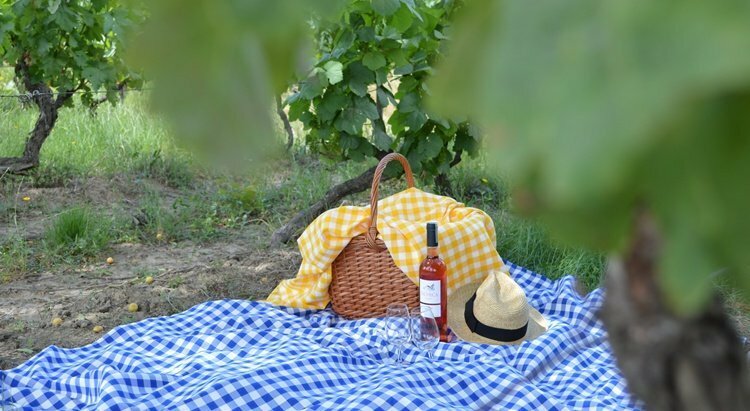 Join this tour and appreciate the direct contact with nature in the vines, Mediterranean forests and gardens, alongside the people who work them. 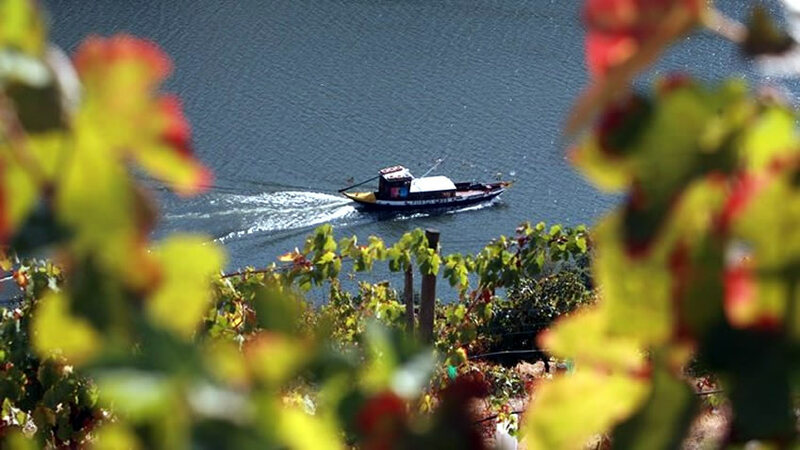 We offer you the chance to see the Douro through the eyes of a local and to relish the greatness of the region with a detailed explanation of everything happening at the Quinta. The tour finishes at our wine shop for a tasting of the top Wines of Carvalhas (White, Tinta Francisca, Touriga Nacional & Vinhas Velhas), combined with many cheese and finishing with a glass of Port. 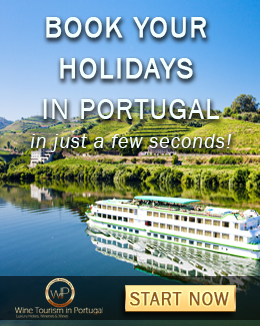 Then, you will enjoy a magnificent exclusive cruise on the Douro River. On board, the Libertu's sailboat will provide you moments of intimacy with nature as you travel emotionally through history of the times when the Rabelo boats moved through the force of the sails. Libertu's is a 10, 5 meters (34 ft.) Dehler sailing ship with a 14 meters (45 ft.) mast and with a maximum capacity for 12 people and is luxuriously equipped with 2 rooms, a lounge area, kitchen and WC. 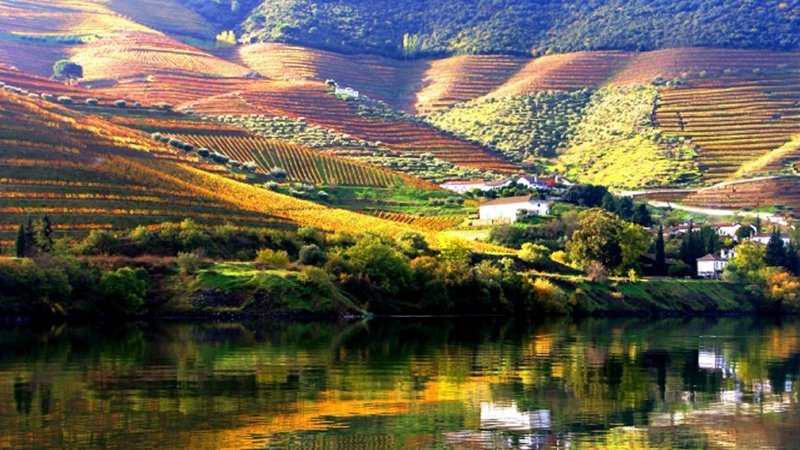 Be amazed by the scenarios that Douro has to offer. By booking with us, you'll work with one dedicated consultant, who will not only take the time to listen to your requests, but also discuss different options with you. All of this coupled with a knowledge of the country means you'll get the best out of the time you have to spend on your next tour in Portugal.